Today, we give little thought to a person’s right to his or her medical records since the right of a patient to access such information is firmly established under a law that has existed for almost two decades. This absolute right of access did not always exist, however. Forty years ago, patients in most states could only obtain their records through litigation. N. Engl J Med 2014; 370:6-8. Fortunately, when HIPPA (the Health Insurance Portability and Accountability Act) was signed into law on August 21, 1996, patients became guaranteed both access to their health information as well as the right to a copy of their medical records. The change in the law with HIPPA did not necessarily make the reality of obtaining a copy of medical records simple and straight forward. Instead, the requirements for obtaining and maintaining medical records vary from state to state and can also vary by health care provider and the age of the patient. Further, the ability to get a copy of your records may depend on when the request is made relative to when treatment was last provided. 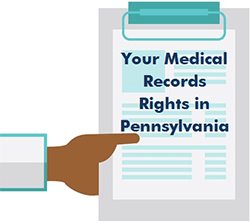 In Pennsylvania, for example, doctors must keep patients records for at least seven years from the date of the last treatment or for one year after majority for minors even if it requires the physician to retain the records for more than 7 years. 49 Pa. Code § 16.95. For hospitals in Pennsylvania, records must be maintained for seven years following discharge. If the patient is a minor, the records must be kept for seven years following the age of majority. 28 Pa. Code § 115.23. If a hospital goes out of business or discontinues service, records need only be stored in a facility offering retrieval services for at least 5 years after closure. 28 Pa. Code § 115.23(c). A patient’s ability to obtain records is also impacted by costs. The Standards for Privacy of Individually Identifiable Health Information contained in the Code of Federal Regulations (also referred to as the Privacy Rules) permit fees by a covered health care entity. The fees must be reasonable and cost-based. 45 C.F.R. 164.524(b)(4). What is reasonable is not defined and there is not much case law dealing with the issue. The Privacy Rules do, however, direct that the fee only include the cost of the labor for copying the records, the supplies for creating the copy, and the postage for sending by mail. 45 C.F.R. 164.524 (b)(4). To add to the uncertainty of medical record costs, charges for copies can vary from state to state and year to year. For example, in Pennsylvania, the Secretary of Health can annually adjust the amounts that can be charged by a health care facility or medical provider who receives a request or subpoena for medical records. 42 Pa.C.S.A. 6152 and 6155. The increasing availability of online access will likely have a positive impact on healthcare. It offers patients the opportunity to better understand their health conditions, treatments and options. The facilitation of patients’ access to their own healthcare information also offers the opportunity to improve the accuracy of medical records such that better care can be provided. The Philadelphia personal injury and medical malpractice attorneys at Messa & Associates are dedicated to fighting for the rights of patients and consumers in Pennsylvania, New Jersey, and the rest of the United States. For attorneys, medical records are essential to the process of properly preparing a medical malpractice claim. Unfortunately, many patients are not aware that they have every right to their own medical file, at any time that they ask for it. Patients should do their best to keep their own medical file at home for easy access any time the unfortunate need for a medical malpractice claim arises. If you or a loved one believe that you have been the victim of medical malpractice or negligent medical treatment, contact the personal injury and medical malpractice attorneys at Messa & Assocites for a free consultation by calling 1-877-MessaLaw. You may also submit a free online inquiry to receive a free case evaluation. Let the medical malpractice attorneys at Messa & Associates fight for the justice that you and your family deserve. Tomorrow is election day in Pennsylvania – DON’T SIT THIS ONE OUT! 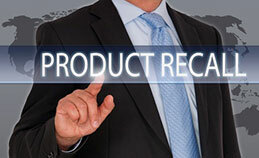 Information on the latest consumer product, medical device, and pharmaceutical recalls. If you have been injured, contact Joseph Messa, Jr, a Philadelphia personal injury lawyer and a New Jersey personal injury lawyer, at his offices in Philadelphia, Pennsylvania and in New Jersey. 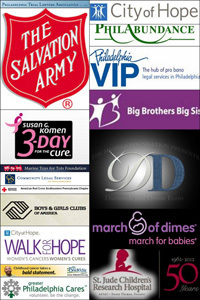 We serve all communities throughout Philadelphia, Pennsylvania and New Jersey. If you or a loved one has been the victim of a Birth Injury, Construction Accident Injury, Truck Accident Injury, or Airplane Injury, please complete a FREE consultation form or call us today.  Annual Back to School Bash!